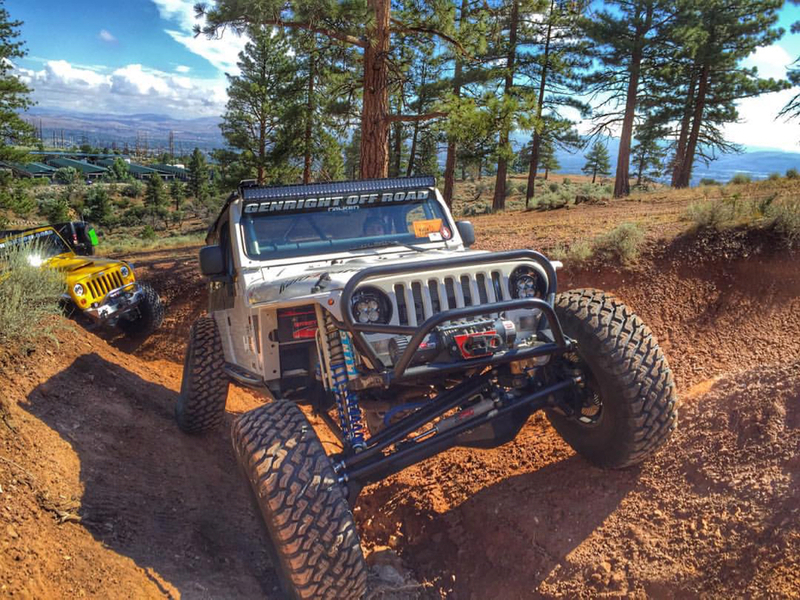 This is Bryan's very custom Jeep Wrangler LJ. It is a work of art with many hidden features that only the trained eye would see. It sits extremely low on 40" M/T tires. It was built by Mike @ Shaffers Off Road and finished in 2014. It is 4500 Class legal and uses GenRight Aluminum Hi-Fenders and Corner Guards. 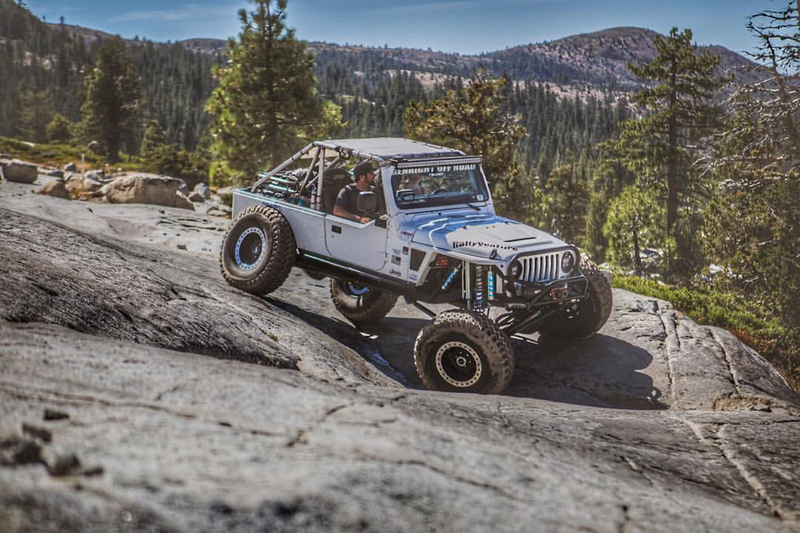 In 2015 Bryan drove with his brother Chris to win the overall trophy at the multi-day RallyVenture in Reno, NV. 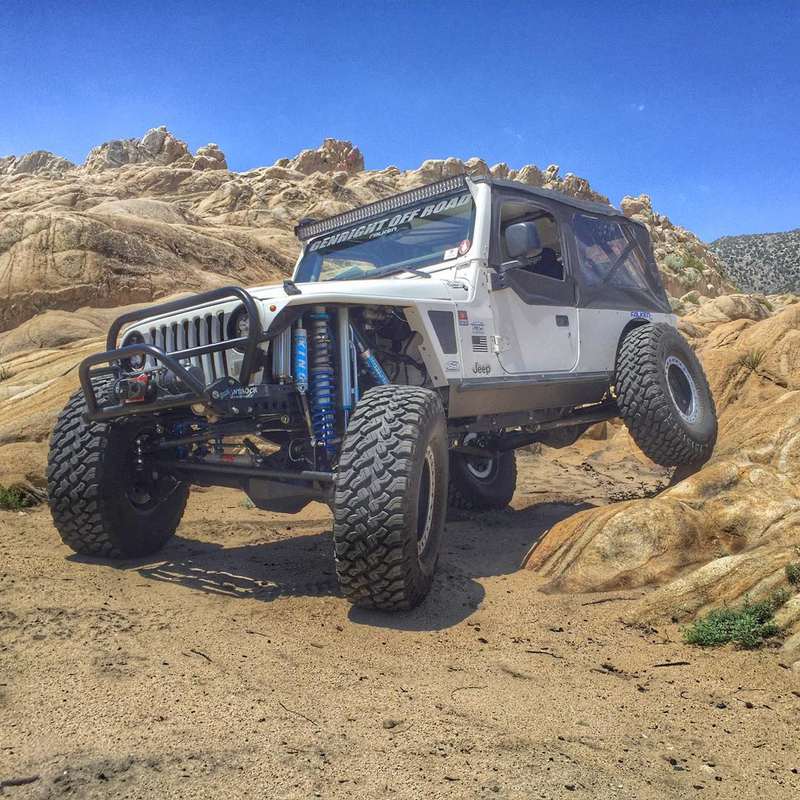 In early 2016 Bryan dropped in a LS3 with a 6L80 transmission. 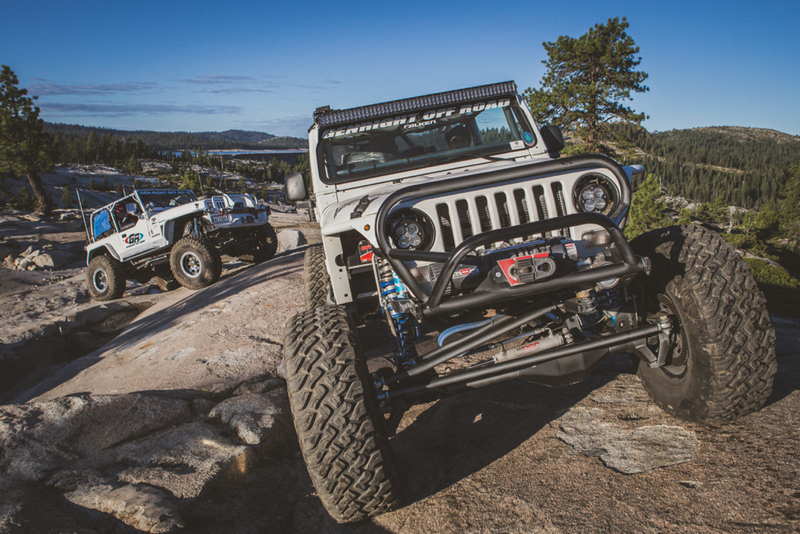 This Jeep can be seen frequently on the Rubicon and other Northern California trails.